Wait, did Zack Snyder take inspiration from X-Men: The Last Stand? If there's one rule of DC comic book movies that Batman V Superman proves, it's that Warner Bros. will always get their way eventually. After all, they've been trying to get these two heroes to duke it out on screen for over a decade (a script was written in 2003 and a foreshadowing easter egg inserted into I Am Legend in 2006), despite the concept not being a big part of the characters in print. In addition to the disappointing titular bout though, Dawn Of Justice also sees the studio finally live out another one of their biggest fantasies of the past quarter-century. Back in the late nineties, Warner were very keen to get a reboot of Superman off the ground, bringing in Tim Burton as director and Jon Peters to produce. As reported by several writers who worked on the project - including super Super-fan Kevin Smith - Peters had an obsession with having Superman fight a giant spider creature in the finale. The flop of Batman And Robin trapped Superman Lives in pre-production purgatory, but elements of it lived on, and not just in DC films; when watching Wild Wild West, Kevin Smith saw that movie's giant metal spider and Peters' name and thought to himself "Godammit, that motherf*cker finally got his f*cking spider." I had the exact same reaction to Batman V Superman. Warner Bros. have been trying to bring The Death Of Superman to the big screen for well over two decades, working it into the drafts of not only Superman Lives, but also J.J. Abrams' Superman Flyby. And, while it's in a movie that is already a sequel to Man Of Steel, the introduction of a new Batman, a titanic showdown between two icons and a prequel to the Justice League, they finally f*cking got it. Yup, the one big surprise at the end of Batman V Superman is the Man of Steel sacrifices himself to defeat the Lex Luthor created Doomsday. And that shock event, along with everything that follows it, secures the film as an aimless mess made spectacular only by it's complete obliviousness to narrative sense and filmmaking convention. 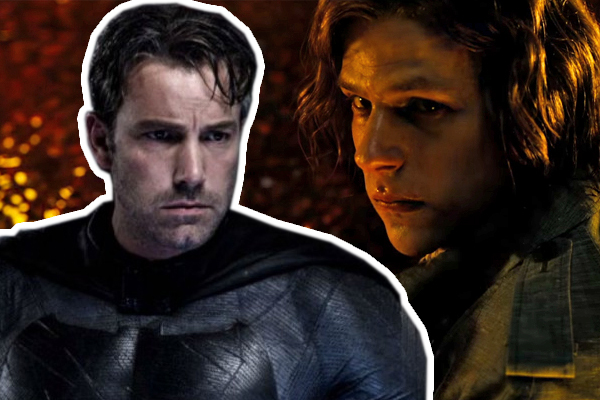 Here's a breakdown of why Batman V Superman's ending doesn't work on any level.